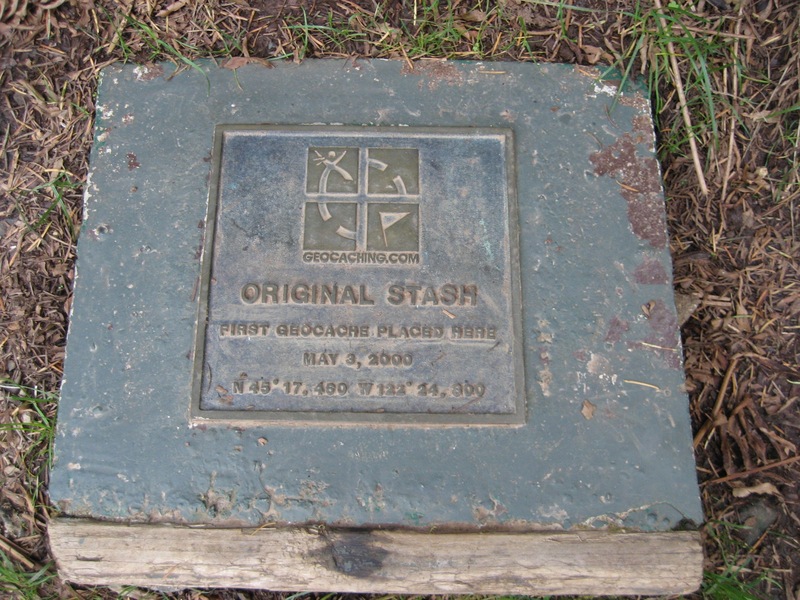 On 3rd June 2000, exactly one month after the first ever geocache was hidden in Beavercreek, Oregon by Dave Ulmer, Europe’s First (GC43) was hidden on Bray Head, in county Wicklow, Ireland. I’m very lucky to live just a stone’s throw from this historic piece of geocaching heritage and it was among my first 20 finds. I didn’t really understand the importance of this cache at that time, but it’s been made abundantly clear by the constant stream of geotourists in the area and the way the local geocaching community hold it so dear to them. A day after the removal of selective availability at the direction of the then US President Bill Clinton, GPS enthusiast Dave Ulmer, decided to test out the accuracy and hid a black bucket in the woods near Beavercreek, Oregon. Up until this time, only the military had access to accurate GPS data. Civilians only had access to scrambled signals that were only accurate to within 100 metres. As well as a logbook and pencil, he filled the bucket with various items including videos, books, software, and a slingshot. The idea was for other GPS users to navigate to the coordinates he had posted on the online community sci.geo.satellite-nav, and ‘take some stuff, leave some stuff’. He called it “Great American GPS Stash Hunt”. Within three days, two different people had read about the stash on the Internet and used their own GPS receivers to find the container. They then shared their experiences online. Within a week, several others, excited by the prospect of hiding and finding stashes, began hiding their own containers and posting coordinates. The concept spread rapidly. There were 21 recorded ‘stashes’ hidden by the end of May, 2000. On 2nd September 2000, Jeremy Irish (the President of Groundspeak, the company that owns and operates Geocaching.com) emailed the community members to tell them he had registered the domain name and set up the website, geocaching.com. A few days later, Mike Teague announced that Jeremy would be taking over the listings on his new website. Europe’s First was hidden by Chris O’Byrne on 3rd June, 2000. 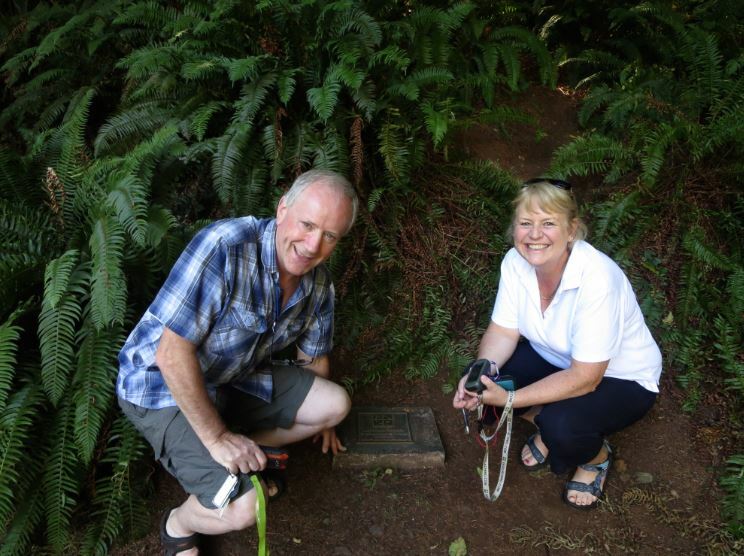 The cache was adopted by Donnacha in 2004 and through his maintaining of it, it’s still there today, not too far from where it was originally hidden. 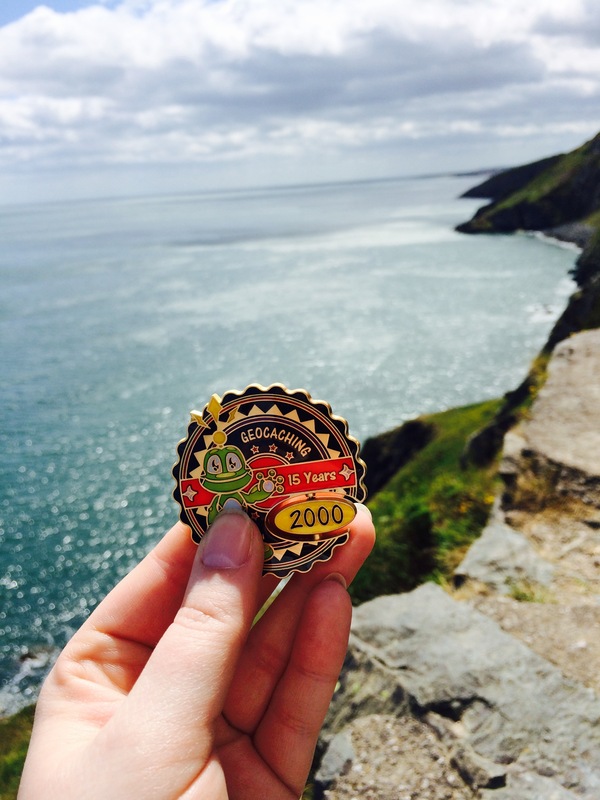 I spoke to Donnacha about how the game has changed since he started geocaching in 2000. Sarah: When did you start geocaching? D: I was introduced to it by a friend of mine who, like me, loves new technology. The two of us ordered GPSrs not long after Selective Availability was turned off. Both Chris [O’Bryne, the original cache owner of GC43] and my friend were into photography and my friend came across Chris’ website while searching for photos and saw Chris’ post about a “stash” on Bray Head. S: How many people were geocaching at the time in Ireland? D: I’d say there was less than 30. In those days, an event was a success if there were 5 attendees! S: What did the geocaching website look like back then? D: In the very beginning there was no website. Caches and found logs were posted on the sci.geo.satellite-nav newsgroup. Jeremy Irish started the geocaching.com website we know today shortly after. S: Tell me about your first geocache find. D: My first cache find was GC43. 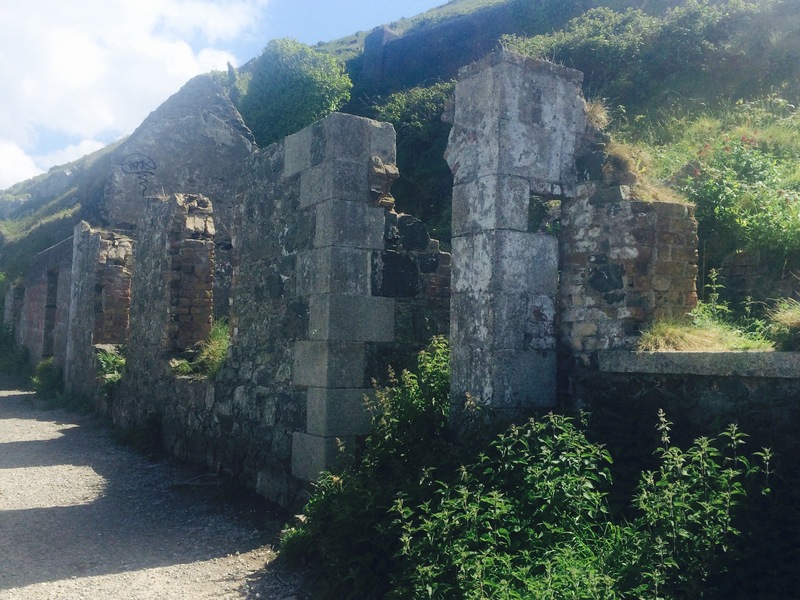 A friend of mine told me there was “treasure” up on Bray Head that could be located with a GPS. He gave me the coordinates and off I went. It was truly an adventure and I wasn’t sure what to expect. 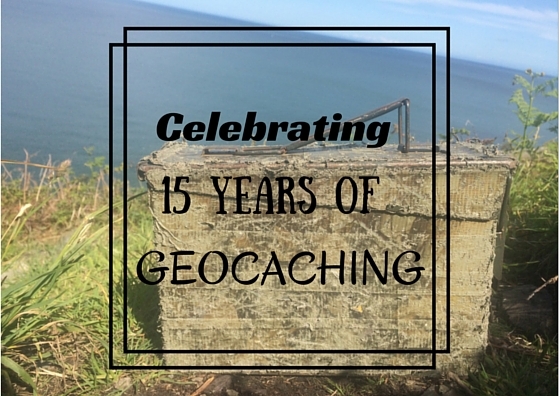 Geocaching has brought both amazing adventures and new friends along the way, even 15 years later. S: How did you come to adopt GC43? D: Chris had awful problems with the original location of GC43 as the cache went missing or was vandalized a couple of times. Around June 2003 the cache went missing again and at that stage, Chris got fed up with maintaining it. I stepped in and unofficially maintained it until 2004 when I adopted it from Chris. D: The game has changed quite a lot since its inception. Back in the day, you would have to invest in a pricey GPSr, however nowadays the game is a lot more accessible thanks to smartphones. One of the big changes is mapping. Ireland was so far behind and even when Garmin included Ireland in City Navigator, it was main roads only. There was no Google Maps, and we were literally just following the arrow and trying to figure out how to find places on the fly. We used to have to drive for hours just to find a couple of caches as there were so few around. One of the other big changes was the introduction of Pocket Queries. We had to print off cache pages before PQs came along. We didn’t have access to the latest cache logs as mobile internet was just taking off. Groundspeak did develop a WAP enabled version of geocaching.com that gave basic functionality on your Pocket PC! Today, there is a better variety of geocaches available to find, from nano to micro, camouflaged, traditional and puzzles. 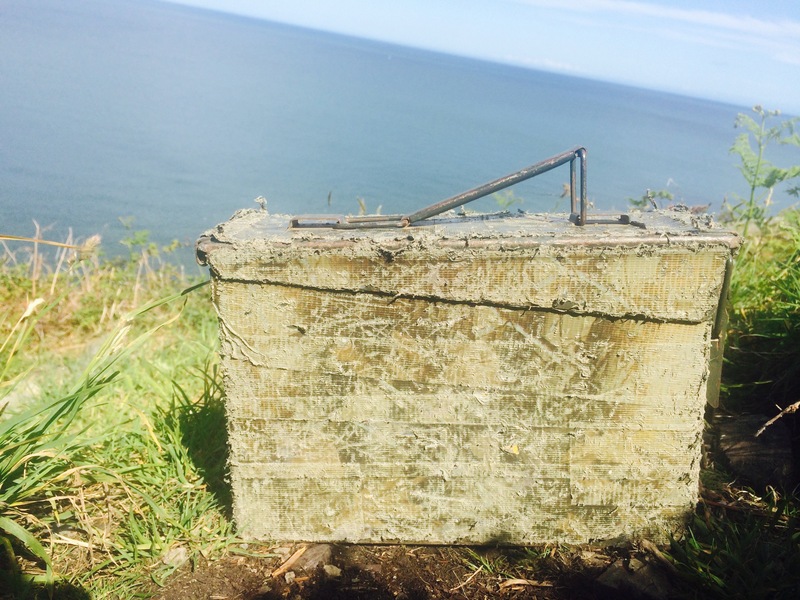 Many of the early caches were the traditional tupperware caches. S: What’s your favourite type of cache and why? D: I don’t have a favourite type per se, it’s all about the location for me. Whether it is a traditional, puzzle or one of the other types, if the cache brings me to an area that I have never been, or I learn something new, that’s what I enjoy. Saying that, I do enjoy the more strenuous finds that can be found on our many beautiful mountains. 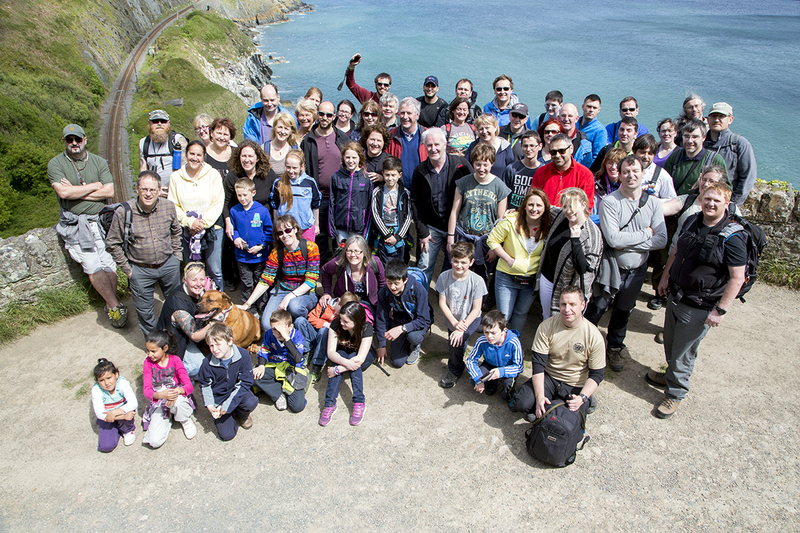 On Saturday, 6th June, a group of 60+ met near the harbour in Greystones to walk the Cliff Walk, along which Europe’s First geocache is hidden, to celebrate the 15th birthday of GC43! The weather was fantastic, as is fast becoming tradition for these Bray events and there were plenty of geocaches to find along the way, including of course, Europe’s First, which many of the attendees had yet to find. It was a very fitting way to honour this historical hide. 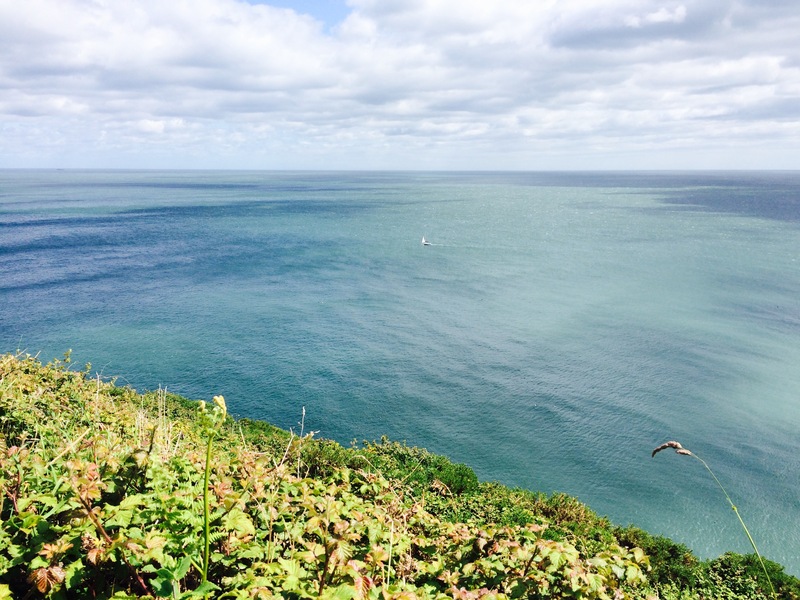 The walk is approximately 6.5km, but there were plenty of stops along the way to find some tupperware and there were even 3 new caches published for the occasion – two hidden by Donnacha and one by myself! We had attendees from as far afield as California joining us to celebrate! This was, hands down, one of the best events I’ve been to for a good whlie, much kudos to Donnacha for his organisation and of course, a special thanks to him for watching over GC43, which all us locals are very precious about! 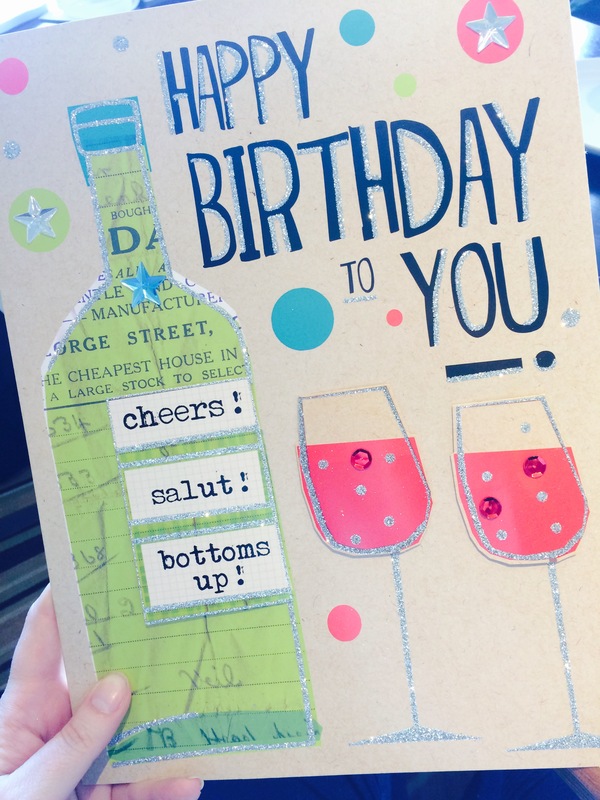 A very appropriate event logbook! Brilliant article. I knew some of the history but didn’t realise groundspeak was a part of it so early on. The interview was very interesting and well edited.